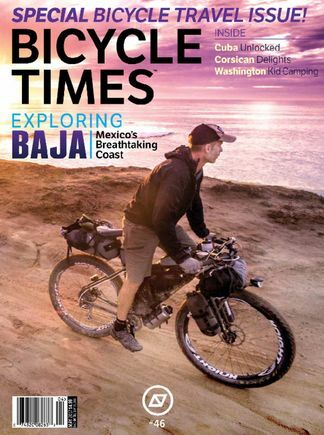 Bicycle Times magazine features the best inspirational stories, practical advice, and intelligent discourse from everyday riders, but with a focus on the pavement side of things. Be the first person to tell us what you think about Bicycle Times and you'll save $5 on your next purchase! https://www.isubscribe.co.nz/bicycle-times-digital-subscription.cfm 14086 Bicycle Times https://www.isubscribe.co.nz/images/covers/nz/541/14086/square/BicycleTimes243201734156.jpg NZD InStock /Digital/Sports/Cycling Bicycle Times magazine features the best inspirational stories, practical advice, and intelligent discourse from everyday riders, but with a focus on the pavement side of things.